Costa Del Mar has been busy working with both musicians and bass anglers in the past few months. They have had great success in producing a number of new products, as well as partnering with some of the biggest names in the fishing and music industries! 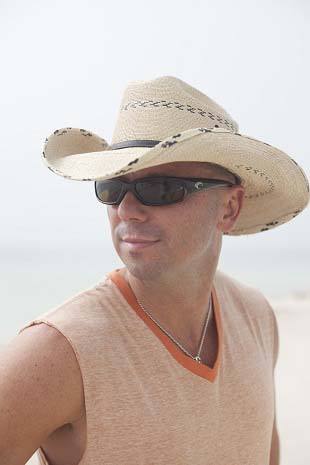 Kenny Chesney has been the buzz around Costa Del Mar for the past week since they released their line of Costa Kenny Chesney Limited Edition Sunglasses. These sunglasses feature unique hand-drawn artwork etched onto each different frame style, which illustrates some of his favorite song lyrics from past tours. Costa has teamed up with Chesney as a part of his Goin’ Costal concert tour to market these custom sunglasses with proceeds benefiting the Coastal Conservation Association. 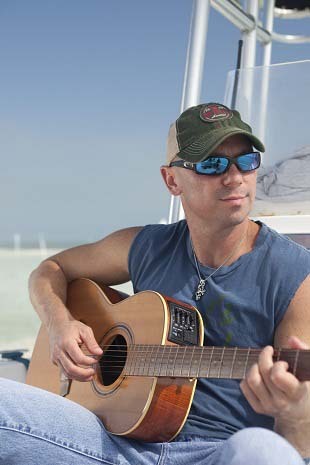 I had a chance to see Kenny Chesney live this weekend over in Tampa, FL, and he put on a great concert with several strong opening bands including Zac Brown Band. Overall, they are promoting a great cause, and have succeed in producing a desirable new line of sunglasses for Costa Del Mar even if they are only available for a limited amount of time. I am looking forward to seeing what other partnerships may be in store for the future. 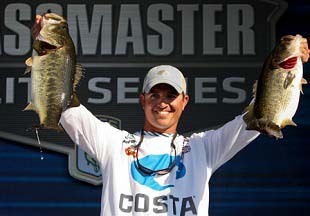 Elite Series Angler Casey Ashley has been on the Costa Del Mar team since 2007, however, this year they have signed him to the title spot. 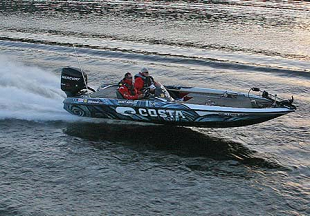 With this position comes a Costa-wrapped Triton boat, Costa Jersey, and Costa Sunglasses with the 580 lenses. Ashley typically wears Costa’s Corbina and Harpoon frames with 580 green mirror and 580 copper lenses. As Ashley says, “I’ve been a fan of Costa’s for a long time, and not just because their sunglasses let me see the fish more clearly. Costa practices what it preaches when it comes to protecting the sport I love, and I’m proud to be a part of their team.” In recent events, Ashley has taken 18th in the Elite Series Sunshine Showdown in Tavares, FL, as well as a 10th place finish in the Elite Series Citrus Slam that just concluded this weekend on the St. John’s River. He currently has six more Elite Series events lined up through June. In addition to Casey Ashley’s success as an Elite Series Bass Angler, he has also experienced success in his musical career by performing live on the Costa Stage at the Bassmaster Classic back in February, as well as recording music in Nashville, Tennessee. Be sure to check out his song “Fisherman” on the Casey Ashley website if you have a chance, I was thoroughly impressed. Keep an eye for more news from Costa Del Mar; their sponsors are currently tearing it up in both the fishing and music industries. Awesome song!!! Perfect for anyone who loves to fish!!! Great Job Casey!!! The video was great!!! !